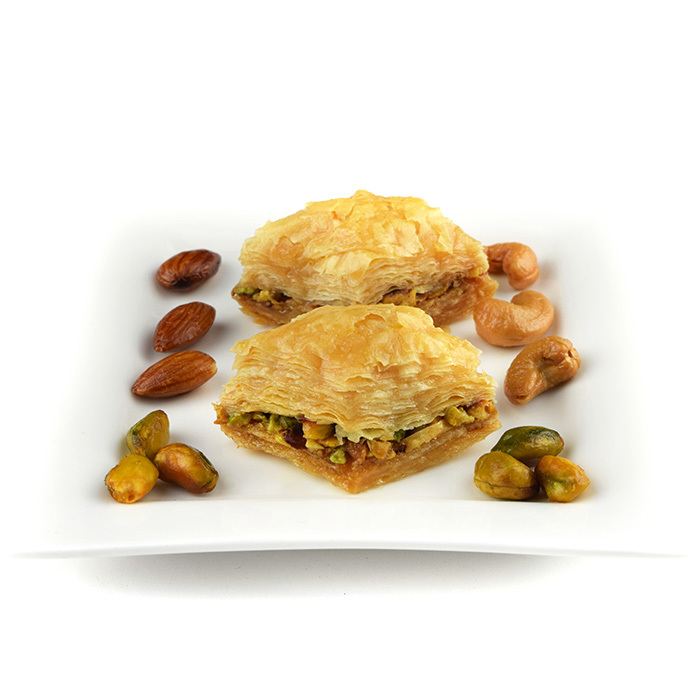 Baklawa Pistachio consists of pastry made with molina flour, water, ghee and salt filled with pistachio. Directions: Baked in London from a home made Lebanese recipe. 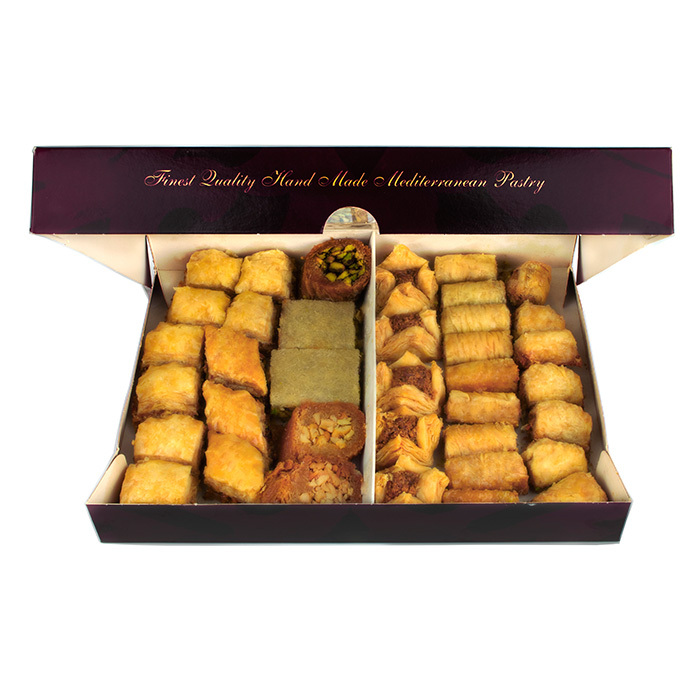 The baklawa is baked and shipped when it is absolutely fresh.